Today David and I set off in the Bongo for Muirkirk. The reason for the visit was to see an organ which had been put up for sale on Gumtree. We took the opportunity of driving (David that is) the Bongo which has been in need of a good drive for several months. Indeed as we drove the little faults all ironed themselves out and the vehicle returned to Mount Pleasant in perfect working order. We drove to Muirkirk via the A1, the Edinburgh ring road, the M8, Motherwell, and Hamilton. We returned via Peebles and Galashiels. It was a good round trip and until the final stretch it was a lovely day. 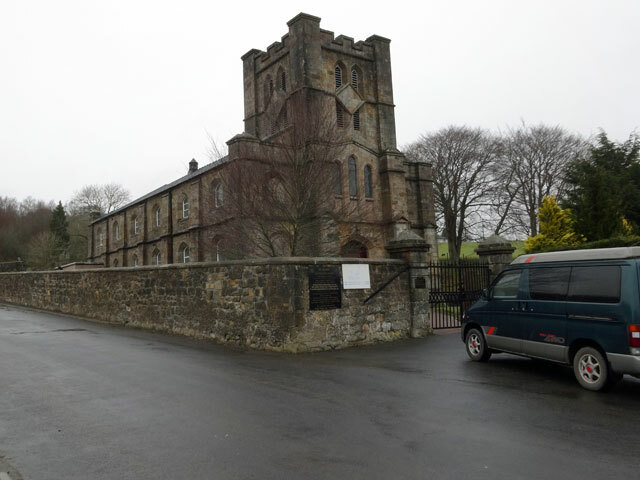 In Muirkirk we inspected the second-hand organ and purchased it. It is in excellent condition, is a perfect match for the one which has broken down (so we can use one as spares for the other), and was at a very good price. We arrived back at Mount Pleasant at 6 p.m. just in time for supper—we were both very hungry as we had only stopped for coffee and a cheese and onion pastry at Harthill soon after mid-day. Olive gave us carrot soup followed by beef olives (one of my absolute favourites) and a desert she was experimenting with which involved a treacle and syrup turn-over cooked in milk. It was a fabulous meal. In the evening, of course I had to experiment with the organ but more importantly I had to pack for my journey to Canterbury tomorrow. Everything here is up to date and I am now off to bed for a very early night (even although Scotland are playing cricket – and Ireland won a splendid narrow victory over the United Arab Emirates last night). I’ll get the result when I get up at the crack of dawn tomorrow.